This Toro 22 in. 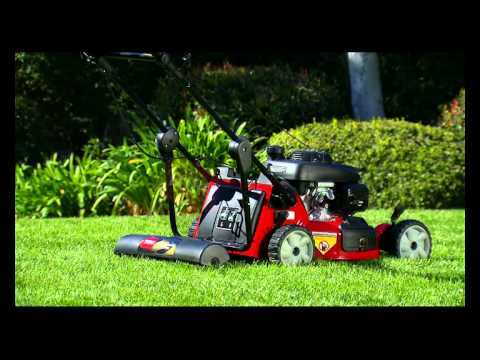 All-Wheel Drive Recycler® lawn mower gives you powerful performance and lightweight agility. The front and rear wheels engage independently, distributing the right amount of traction when needed. BRIGGS & STRATTON EXI ENGINE: Featuring the lightweight 7.25 lb. 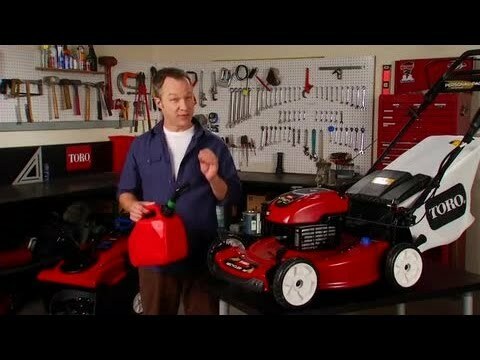 gross torque, 163cc overhead valve engine featuring Just Check & Add™, never change the oil. 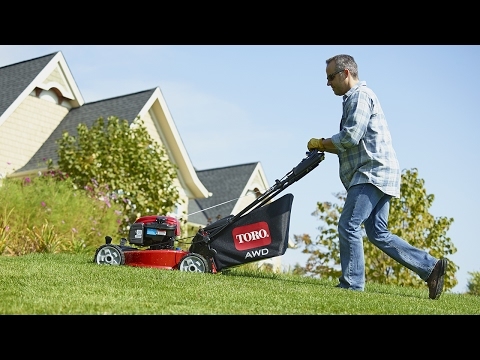 PERSONAL PACE WITH TRACTION-ASSIST HANDLE: This intuitive technology automatically adjusts the mower’s pace to your walking speed. For more challenging areas with uneven terrain, the Traction-Assist Handle can help monitor your speed up hills and slopes, keeping you mowing at a comfortable pace. 22 IN. RECYCLER CUTTING DECK: Front throw chamber and Atomic® blade lift, suspend and re-cut clippings into a fine mulch for a healthy, lush lawn. BAG ON DEMAND: With our innovative Bag-On-Demand feature, you can switch from mulching to bagging in seconds with a flip of the quick-change lever – and the bag can stay mounted in either mode. 3 YEAR GUARANTEED-TO-START: Starts on one or two pulls up to three years or we'll fix it for free! See retailer for warranty details. : Starts on one or two pulls up to three years or we'll fix it for free! See retailer for warranty details. Gross - 7.25 - ft. / lb. he gross torque of this engine was laboratory rated at 2600 rpm per SAE J1940 by the engine manufacturer. 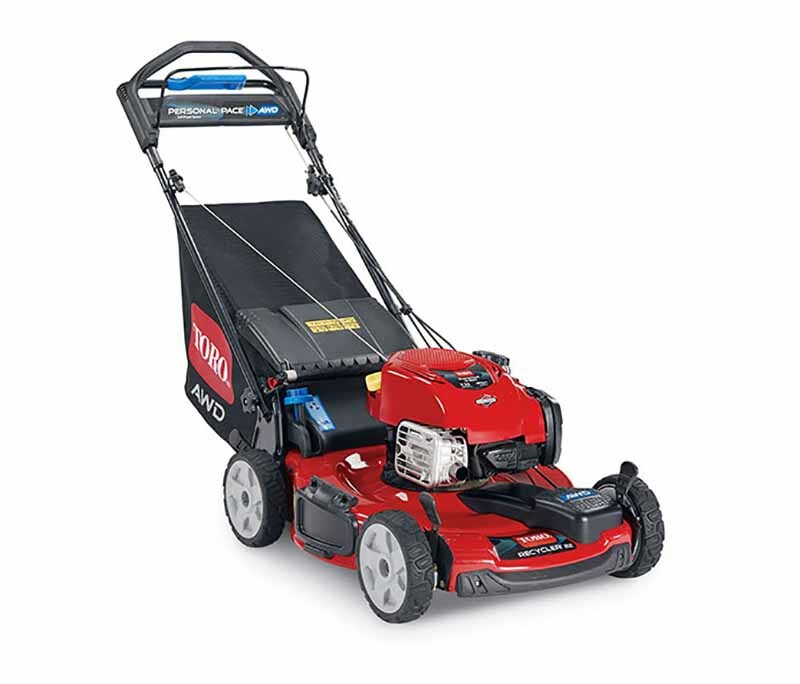 As configured to meet safety, emission and operating requirements, the actual engine torque on this class of mower will be significantly lower. Guaranteed-to-Start Promise - 3-Year GTS Full. See dealer for warranty details.